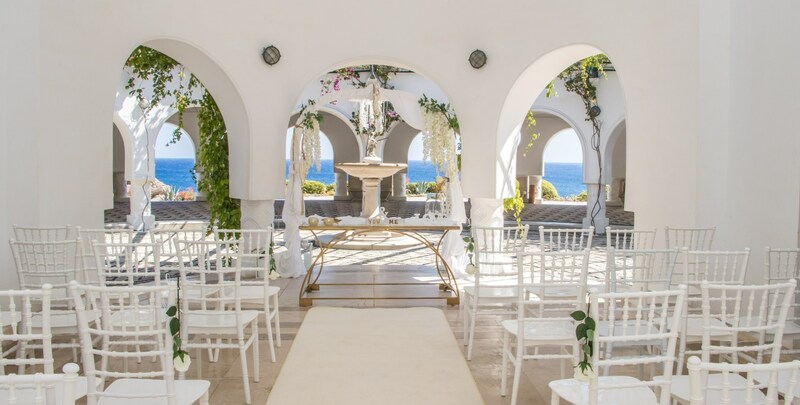 Rhodes ceremony Venue Kalithea Spa is one of the most popular wedding venues on the island. 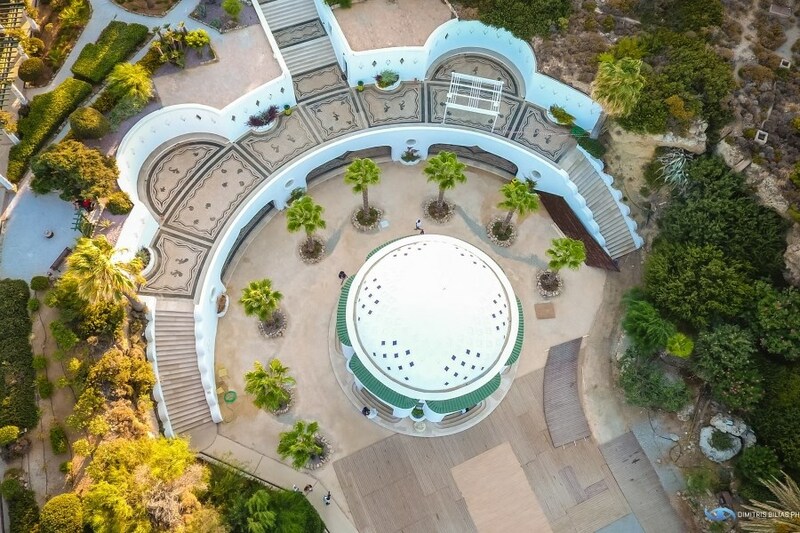 Originally built by the Italians and recently restored, Kalithea Springs has so much to offer for your wedding and reception venue. 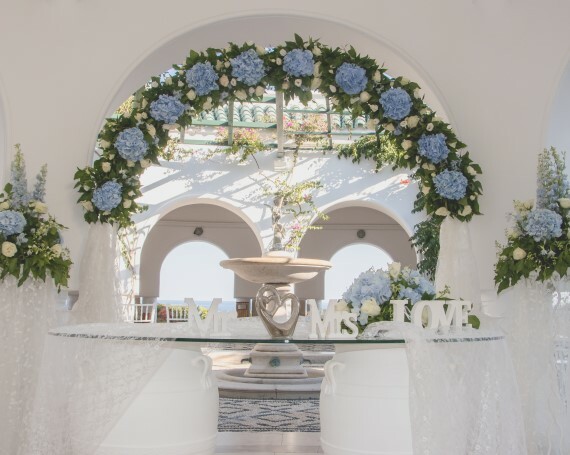 As you arrive you pass the fountain and you will walk through the beautiful gardens and white columns to the ceremony location which itself is full of charm with mosaic and marble floors, rocky cliffs and sea views that will give you the perfect backdrop for amazing wedding photos. The ceremony location is undercover in the shade with cascading flowers through the arches and rooftop. 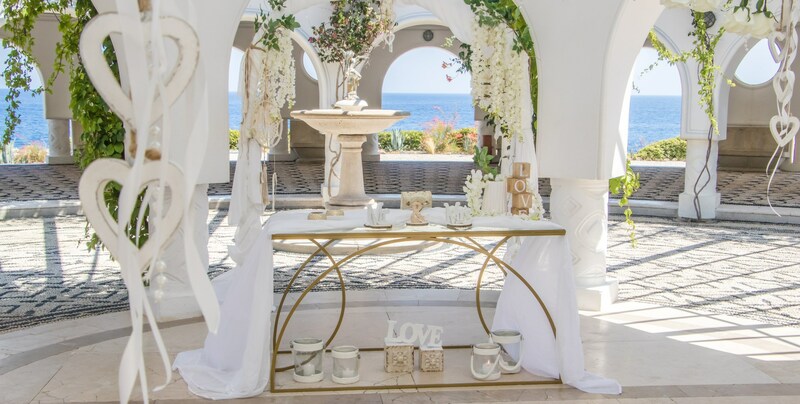 After the ceremony you may have champagne and drinks served before making you way outside for picturesque photos by the sea. 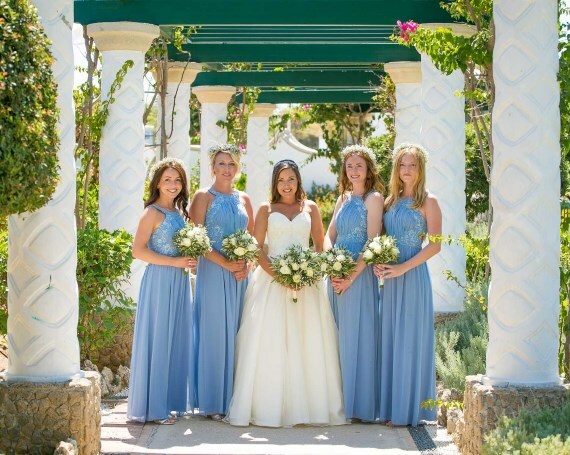 You may hold your reception downstairs in the main lounge bar area facing the sea front. Wedding ceremonies at Kalithea Spa are held on weekdays, in the afternoon and it is requested that only biodegradable confetti is used. At this venue you sign the register on the wedding day, during the ceremony. A small additional fee applies for this venue, which includes the entrance fees for the entire wedding party. Champagne cruises are available from the Spa or we can arrange a champagne reception.